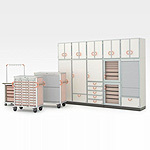 SAKASE integrated system of cupboards, trolleys and work tables are designed for storage of SAKASE ISO modules. Flexible design changes are possible to suite the needs at working environments.Optimum design can be composed from a basic model. 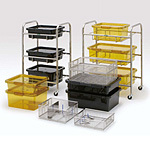 Large variety of optional accessories to meet the exact need. 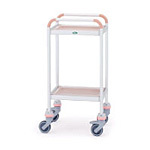 Light but sturdy carts suitable for various types of transportation. 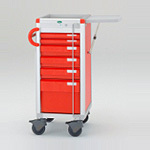 Which can be packed with all items needed for emergency treatments. This container is made of High Temperature Plastics. It has high durability against heat and chemical. 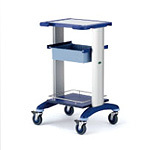 Supporting to create confortable environments and to prevent infection. 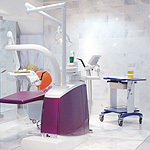 These products are produced for dental use giving utmost care for the safety. They contribute to prevent infection in dental clinic and to create clean medical treatment environments and to increase efficiency in treatments.